Denver will be preparing for another major drug debate, as officials announced last Friday that the effort to decriminalize psilocybin mushroom has received enough signatures to make the upcoming May ballot. Local advocacy group, Decriminalize Denver, received over 5,000 signatures for the initiative, hoping to reform the substance’s enforcement policy. The measure to decriminalize psilocybin mushroom would not mean that the substance would be made available for recreational use. Under federal, state, and local law the mushrooms would still be considered illegal. If passed, the initiative would only apply to adults over 21 years-old, and would de-escalate the priority, as well as restrict use of public funds, in the enforcement of related penalties regarding psilocybin mushrooms. 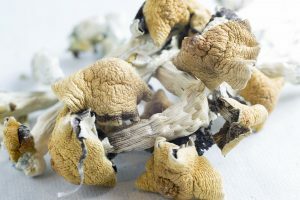 Advocates for psilocybin mushroom’s decriminalization argue that the substance presents a low-risk, claiming that the mushrooms can lead to a decrease in stress and opioid use. The substance has made headlines as treatment for certain mental health conditions and disorders, with the FDA even granting approval for its use in clinical trials for treatment-resistant depression in August of last year. Organizations such as the Multidisciplinary Association for Psychedelic Studies (“MAPS”) have also made a point to research psychedelic substances to further knowledge regarding their potential educational and medicinal benefits. Opposition to the measure does remain heavily present, even within the city of Denver. Mayor Michael Hancock’s office has officially announced that the mayor will not endorse the decriminalization of psilocybin mushrooms on the ballot, while more conservative voters argue that drug-free behavior should be promoted for a healthy lifestyle. Looking towards the May 7th date of the 2019 Municipal Election, Decriminalize Denver has reported raising roughly $5.9k for their psilocybin campaign. There have not been any reports of funds collected in opposition to the psilocybin mushroom initiative to this date. For more information on Decriminalize Denver’s initiative, click here to read more. If you would like to support their campaign, please click here. Kenney, Andrew. “It’s Official: Psychedelic Mushrooms Are on a Trip to Denver’s 2019 Election Ballot.” The Denver Post. February 01, 2019. Accessed February 04, 2019. https://www.denverpost.com/2019/02/01/psychedelic-mushrooms-make-denver-2019-ballot/.